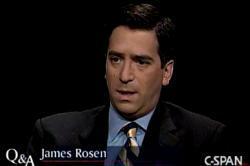 James Rosen named a co-conspirator: Why is Barack Obama’s Justice Department going after a national security reporter? The Obama Justice Department’s crusade against leakers just took a quantum leap—and it’s extremely worrisome. However, it’s something else entirely to go after a reporter who receives the leak. That’s what federal prosecutors are doing to James Rosen, the chief Washington correspondent for Fox News. And they’re going after him not as a witness to a crime—nor as a pressure tactic to get him to give up his source (in this case, the source has already been caught)—but rather, in the words of a Justice Department affidavit, as “an aider, an abettor, and/or a co-conspirator”: in short, as someone who might be indicted under the Espionage Act. This has never happened in this country. (Even in the Pentagon Papers case, several newspapers were served injunctions not to publish stories, but no reporter or editor was ever investigated, much less tried, as a co-conspirator.) If the prosecutors go through with their threat, the entire enterprise of national security journalism—which inherently involves uncovering secrets, to some degree—will be in jeopardy. A similar case occurred in 2006, during George W. Bush’s presidency. In United States v. Lawrence Anthony Franklin, et al., prosecutors indicted a Pentagon official and two policy analysts with AIPAC under the federal espionage statute. The official, Larry Franklin, was charged with leaking classified information. (He pleaded guilty and served a brief sentence.) The two AIPAC analysts, Steven Rosen and Keith Weissman, were charged simply with receiving it. If Rosen and Weissman were prosecuted for joining in a “conspiracy” with Franklin on the grounds that they’d received classified material, then the New York Times, Washington Post, The New Yorker, or any number of other publications could be next. Now, though, President Obama’s prosecutors are pushing the logic of the AIPAC case to its absurd extreme: They’re labeling a reporter who received classified information as a criminal abettor or co-conspirator. Rosen’s Fox News story, which appeared in June 2009, did contain serious, possibly damaging intelligence information. It reported that North Korea was likely to respond to some United Nations sanctions, which had just been handed down, by conducting a nuclear-weapons test. It also reported that the CIA learned of this from sources inside North Korea. The key fact, from a prosecutor’s viewpoint, was that any North Korean official reading this story would now know that the CIA had sources inside North Korea—and that the source (whether it was a human spy, a phone tap, or whatever) would subsequently be shut down, one way or another. Rosen’s source for the story was Stephen Jin-Woo Kim, a State Department adviser and one of a small number of officials who received a top-secret memo about the CIA finding. Few dispute the Justice Department’s right to prosecute Kim, who did break his security pledge (though many are critical of how often, and how relentlessly, the Obama administration pursues leakers). One might also criticize Rosen or his editors for not writing the story in a way that finessed the fact that the information came from a source inside North Korea. But that’s different from arresting him under the Espionage Act. It’s possible that the prosecutors won’t indict Rosen, that they called him a criminal co-conspirator in their court affidavit in order to boost the chances that the judge would approve their request to track his email, phone calls, and movements. However, even if that is the case, it’s a dangerous game. Some future prosecutor could use the Rosen affidavit as a precedent to go all the way, to treat some similar reporter—potentially all reporters on the national security beat—as criminal conspirators. During the Franklin trial back in 2006, Viet Dinh, a former Bush Justice Department lawyer who’d helped write the Patriot Act, filed a “memorandum of law” in support of the AIPAC analysts’ motion to dismiss their indictment. Dinh wrote that the espionage statute had never been applied to recipients of classified information—and that its language is so vague that recipients had no way of knowing whether they were breaking the law. It would be ironic if we have to rely on a Bush lawyer’s reasoning to block Obama’s prosecutors from going too far.